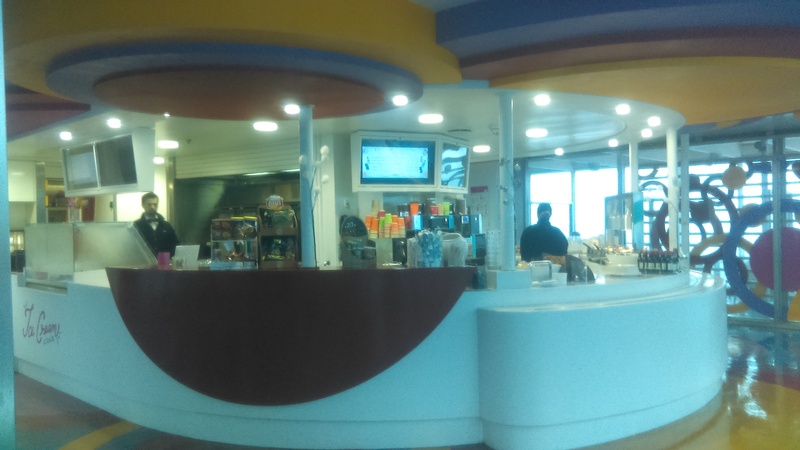 The top deck (10th floor) snack bar sells pizzas, burgers, ice creams, drinks. In front of the swimming pool. Above this only the Heliport.